LOTUS BAKERY in Mission Mall SLO opening opening Mar 14? Don’t believe it. BLACK CAT BISTRO (yes, the Cambria and Centrally Grown people) is coming to Paso Robles at old Vine Restaurant location. 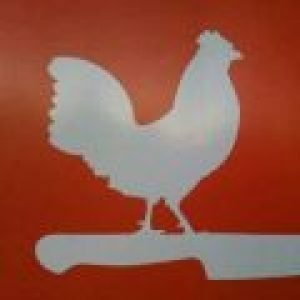 BELL STREET FARM in Los Alamos no longer has Jaime at the helm and has re-opened as BELL’S with new owners. SIX TEST KITCHEN moving to Tin City in Paso Robles. Jacob Towne (THE SPOON TRADE) is opening a (commercial for now) bakery across the street from Spoon Trade in Grover City. WILLOW Pismo Beach opens Friday 3/30 at 3. PORCH CAFE Santa Margarita opens Sunday 4/1 11AM with Spencer Johnson as chef. ROSALINA Santa Margarita (from The Range people) has a kitchen under construction. TACOS EL TIJON (Lompoc, Santa Maria) is opening in the old original brick Taco Bell on Santa Rosa in SLO which in one move blows every single taco-situation currently in SLO out of the water. MARSTONS downtown SLO is closing. NATURAL CAFE downtown SLO closing.